Buzztime players aren’t just motivated to win trivia games. It’s all about earning badges along the way in games like Countdown and Lunchtime Trivia. 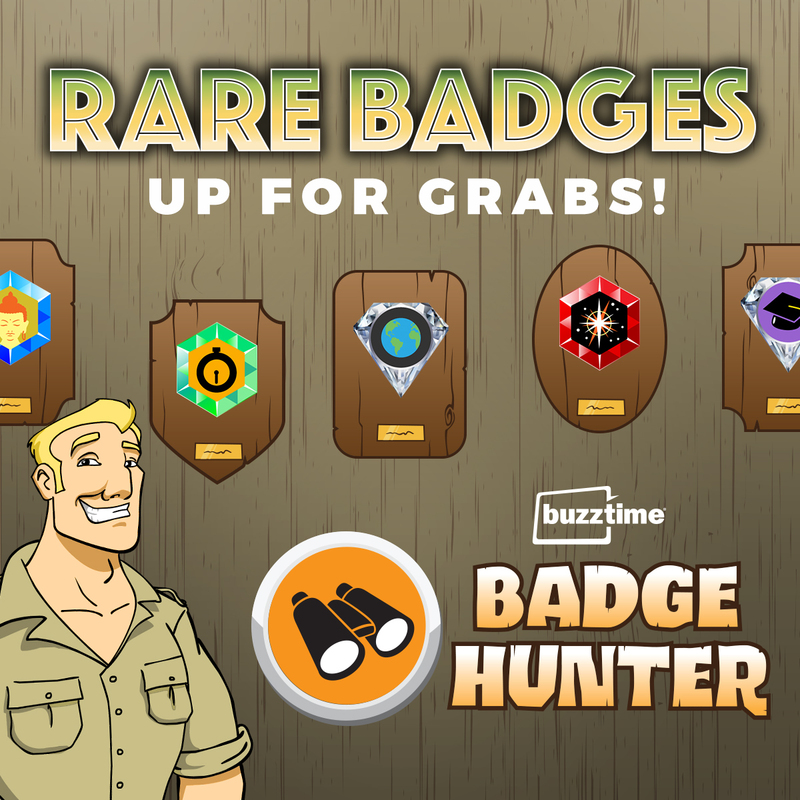 That’s why Buzztime is launching Badge Hunter Trivia: a 30-minute game that puts the rarest badges within reach. Every Sunday starting November 4th, Badge Hunter players can take their best shot at 15 tougher-than-average questions for a chance to collect up to 15 uncommon badges. Each week, a new set of badges will be released to help boost your Sunday foot traffic – and drive repeat visits. 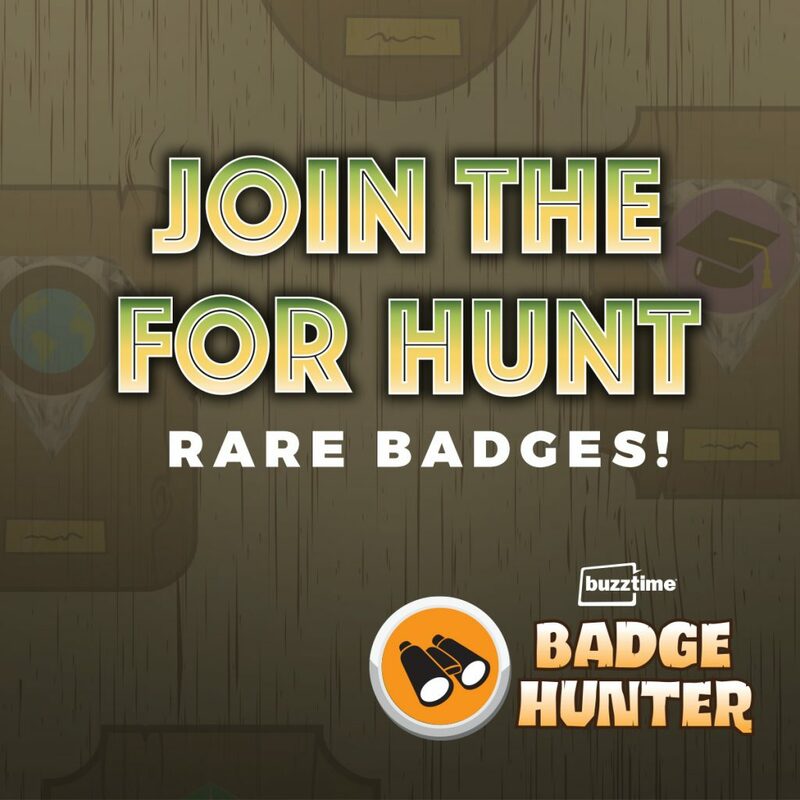 So use our Badge Hunter toolkit to alert existing players and attract new ones! We’re also letting the 10 million registered Buzztime players know about Badge Hunter through social media mentions and in-venue ads that will run on TVs and tablets. We’ll also be emailing players sneak peeks of new badges to be released on Sundays at your venue. 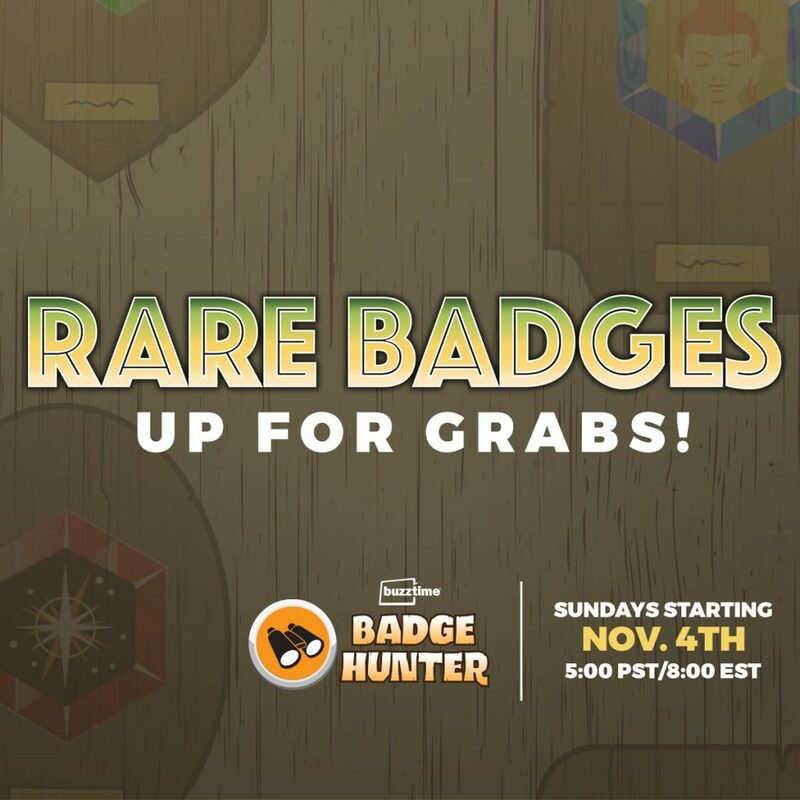 Talk up Badge Hunter on social media leading up to every Sunday! Let players know a new set of rare badges will be unlocked. Can they collect them all? Players love bragging about the badges they’ve won. 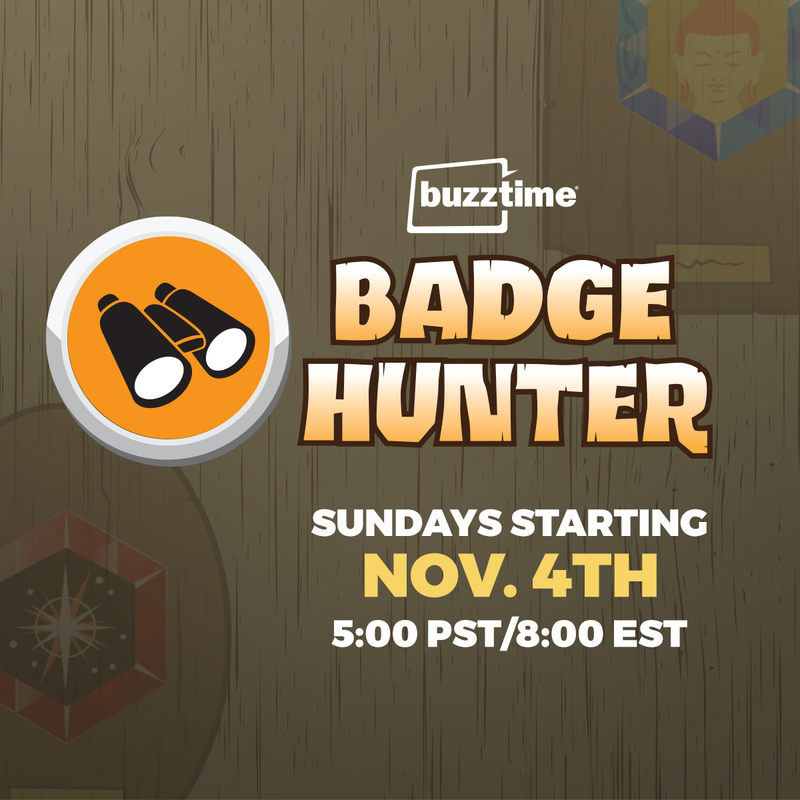 Invite them to do a little humble bragging on social media using #Buzztime #BadgeHunter #YourBusinessName. Celebrate your most successful badge hunters by taking their photos and posting them on social media (with their permission of course). You can also share our Badge Hunter posts! Visit Buzztime on Facebook, Twitter, and Instagram. Receive emails and alerts about upcoming game releases and sweepstakes. Get reminders to visit venues like yours for Buzztime trivia and arcade games. Why not use Buzztime digital signage to reward players who unlock rare badges? Feature a photo of a different “hunter” each week. You could even offer a prize if a player collects all 15 badges in a round of Badge Hunter. Exotic Meats: Customers, especially millennials, are game to try different types of meat like elk and wild boar. Exotic meat is one of the rising food trends expected to take off in 2019. Ask your distributor for details, uncommon meat is often more available and affordable than you might expect. The Hunter’s Cocktail: Serve up this autumnal cocktail featuring whiskey, branding, and a hint of cherry. Capture the friendly competition and fun during Badge Hunter by broadcasting gameplay on Facebook or Instagram Live. After all, live videos on Facebook deliver 6x more engagement (according to Mark Zuckerberg himself). Record a live video on your smartphone of a few patrons playing Badge Hunter. Between questions, ask how many badges they’ve collected. Just ask their permission before you press record! Need tips for going live? Use this 6-step guide to live streaming.